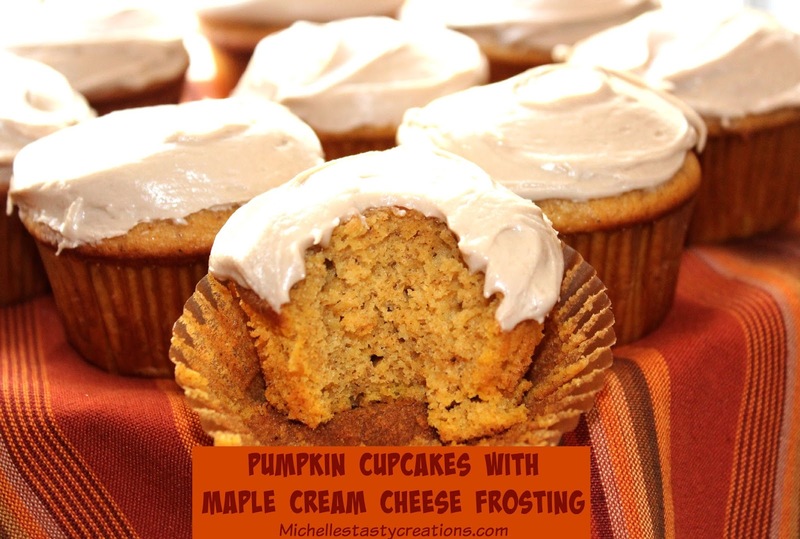 Michelle's Tasty Creations: Are you ready for Halloween? I'll even throw in a few yummy desserts to round out your evening. 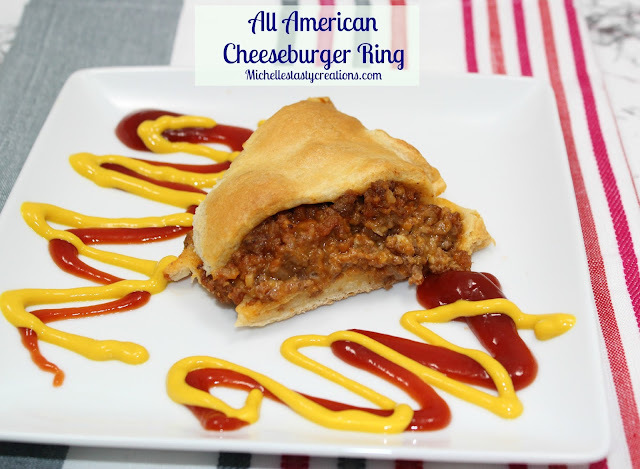 First up is my All American Cheeseburger Ring which takes less than 45 minutes start to table. 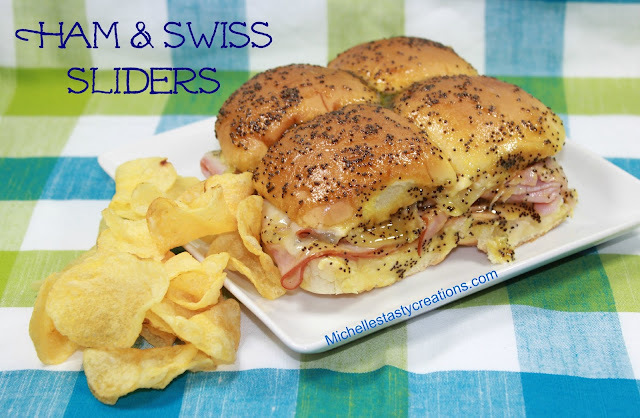 Ham & Swiss Sliders are a warm and delicious meal for quick prep and cook and you can even have them on the go wrapped in a piece of parchment and/or paper towel. 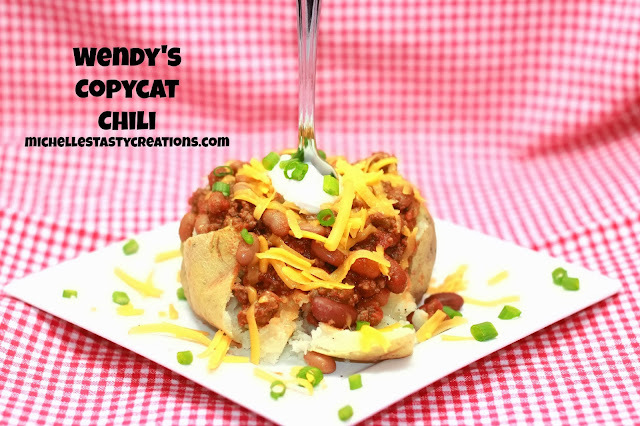 Wendy's Copycat Chili is a favorite around here and you can serve it in a cup, bowl, or my favorite way..... on a baked potato! This is also great on a baked sweet potato. 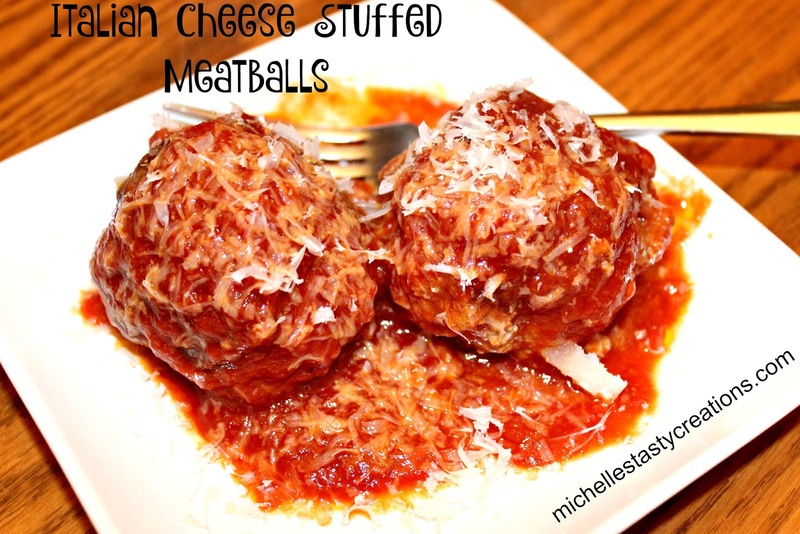 These Italian Cheese Stuffed Meatballs are perfect any night of the week. Delicious over pasta or rice or just by themselves. 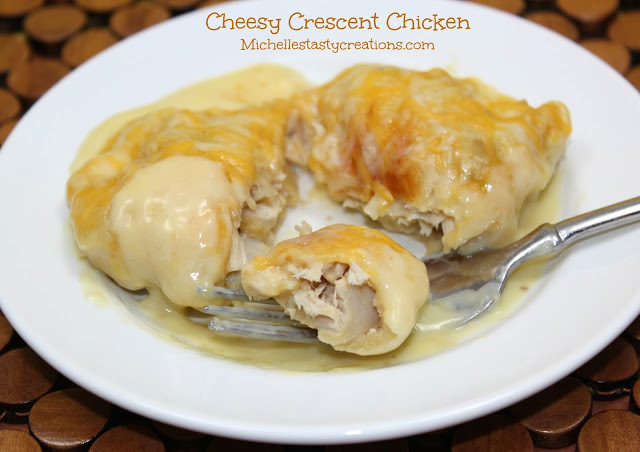 These Cheesy Crescent Chicken Rolls are fast, easy and toasty warm yummy. Perfect for a night when you need a quick dinner. 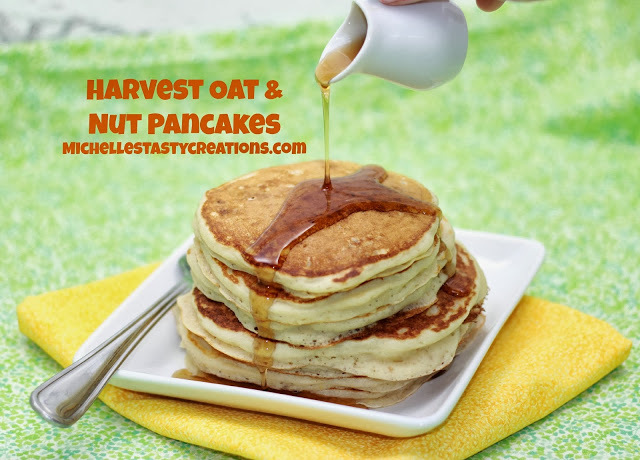 And if you're into breakfast for dinner these Harvest Oat and Nut Pancakes are amazing! But then again so are these Pumpkin Pancakes! Yuuuuummmmy!!! 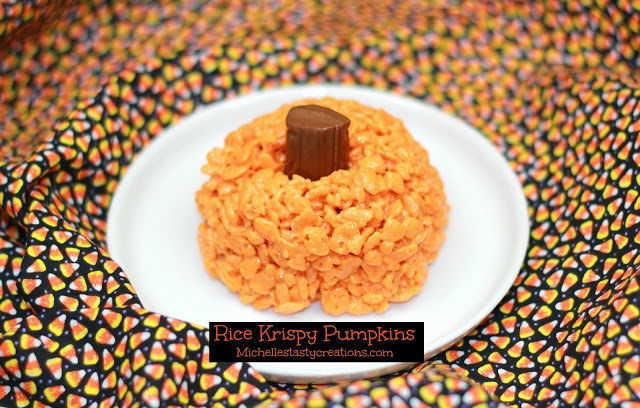 A fun dessert are these Rice Krispy Pumpkins. They are super easy and fun to make with the kiddos. 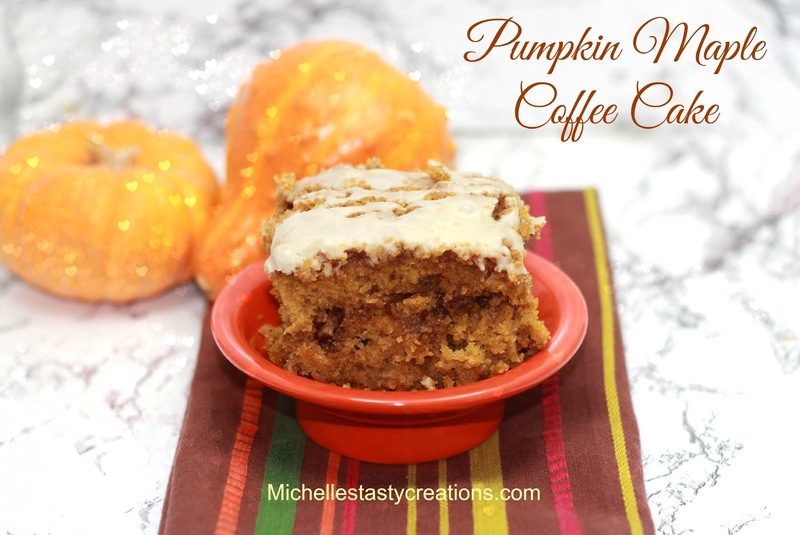 This Pumpkin Maple Coffee Cake is A-MAZ-ING! If you are a pumpkin nut like me you HAVE to make this. Perfect for breakfast, snack time, or dessert! And lastly Pumpkin Cupcakes with Maple Cream Cheese Frosting. Yuummmy! Enjoy your Halloween and Please BE SAFE!